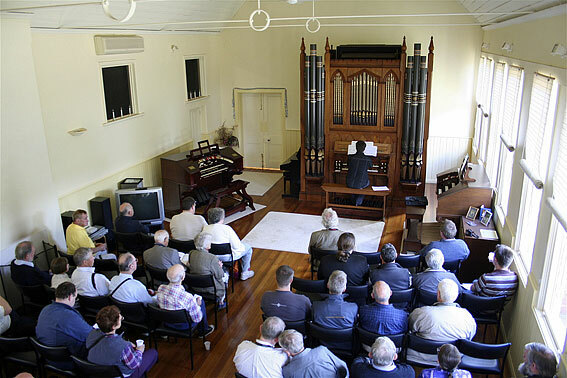 inst 1900 Methodist Church, Mackenzie Street, Bendigo. 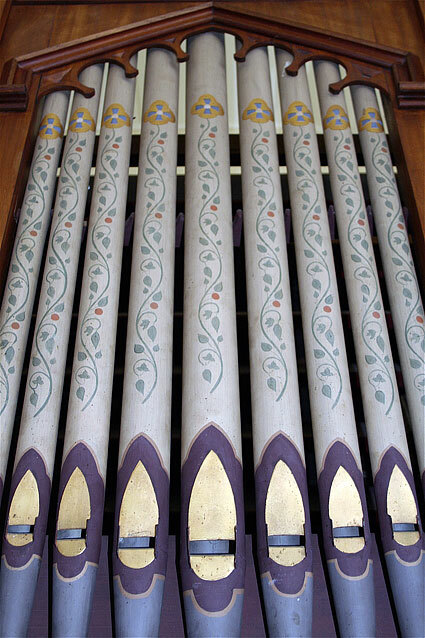 Rem 1999 & inst present loc 1999 Wakeley Pipe Organs. 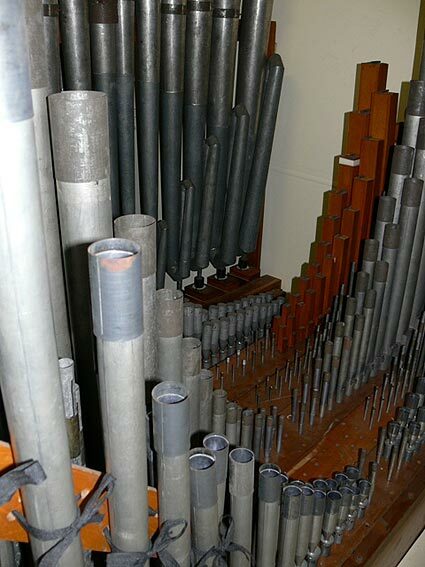 2 manuals, 9 speaking stops, 3 couplers, tracker action. 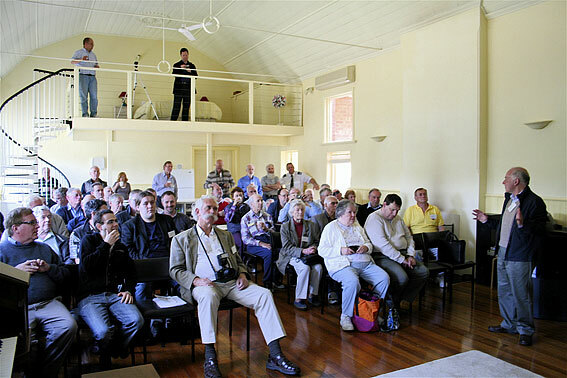 inst 1958 Congregational Church, Burwood. 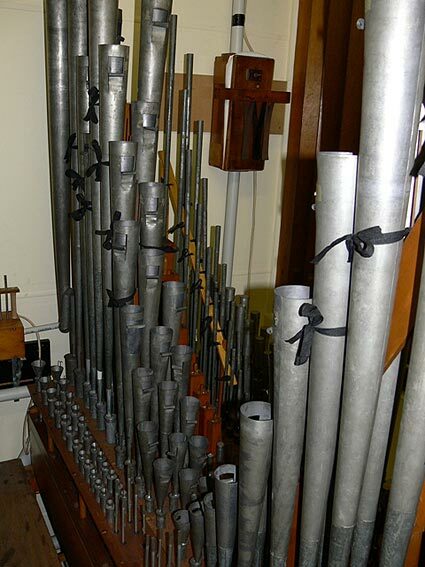 Ren & inst present loc 2002-3 Wakeley Pipe Organs. 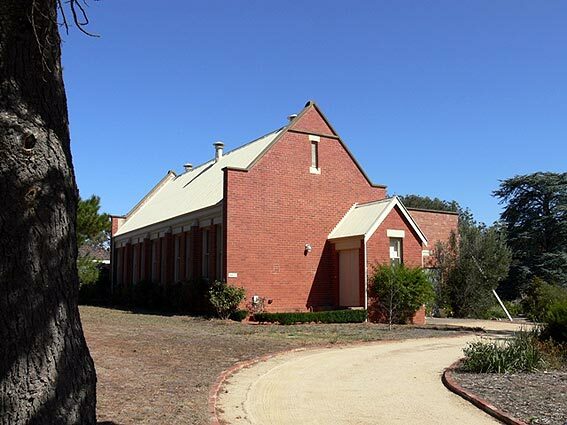 The home 'Brightwell' began as the Sacred Heart School, South Heathcote and was built by the Catholic Church in 1910 under the direction of the then Parish Priest, Father Denis J. O'Dee. 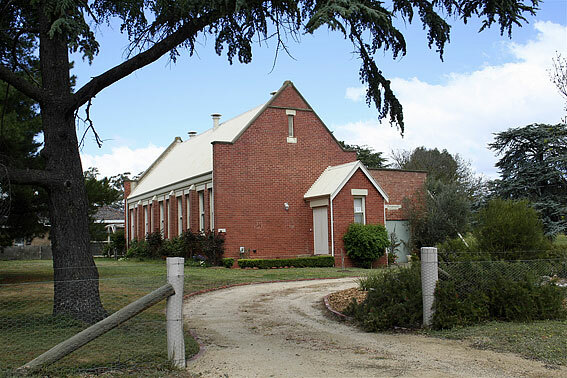 It opened with lay teachers until 1926 when the Presentation nuns arrived in Heathcote and continued the Catholic education there until 1959. 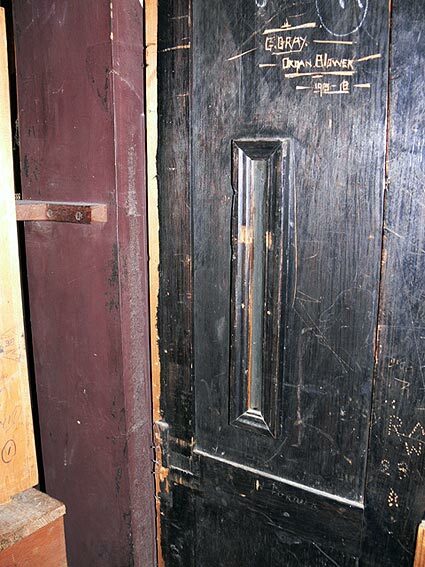 The South Heathcote school was closed and all pupils attended the Holy Rosary School opposite the existing Catholic Church. 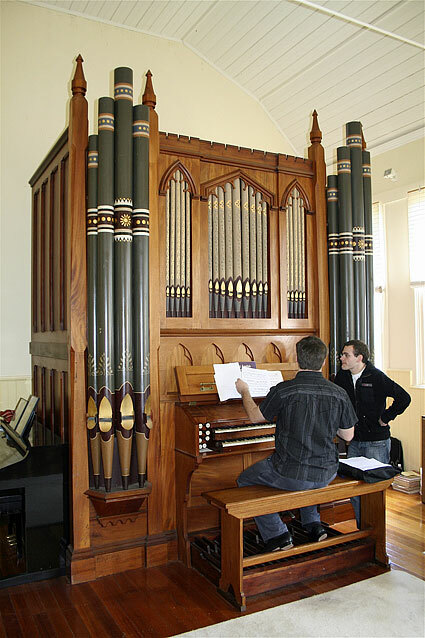 The older pipe organ installed at 'Brightwell' came from the Mackenzie Street Uniting Church in Bendigo. 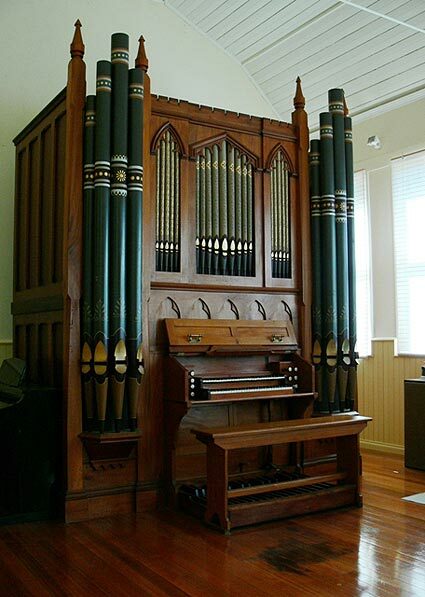 It was installed in this former Methodist Church in October 1900 and used continuously until the church closed its doors in 1997. 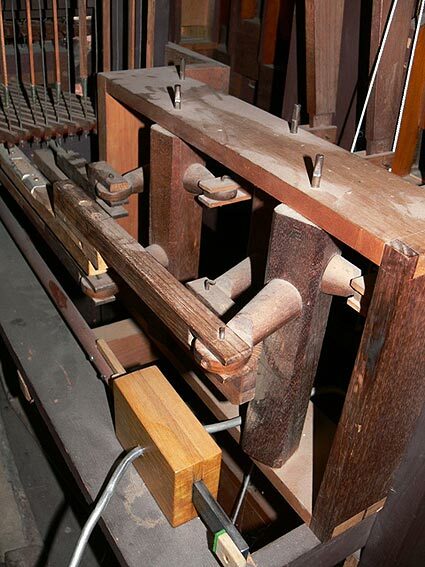 The instrument was removed from the church building on 2 March 1999 by Wakeley Pipe Organs. 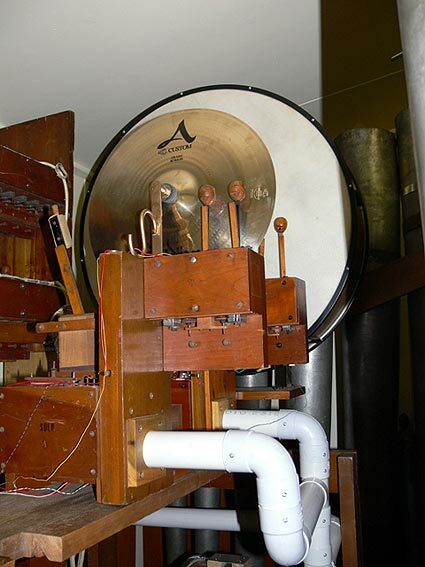 As an historical aside, the minutes of 20 January 1901 state: "That the Organ Blower be paid 6/6d per quarter." 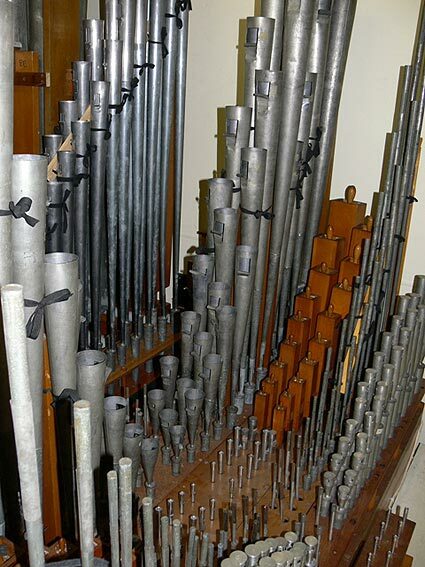 To the older nucleus, Fuller extended the case laterally and provided two five-pipe towers at floor level. 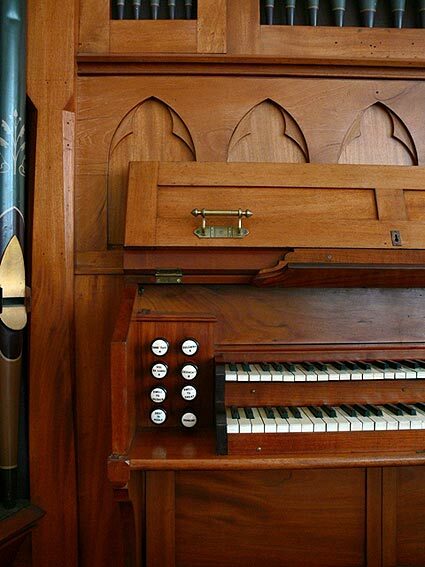 Additional case posts and a distinctive frieze of Gothic arches above the console were supplied, the latter closed by a folding lid. 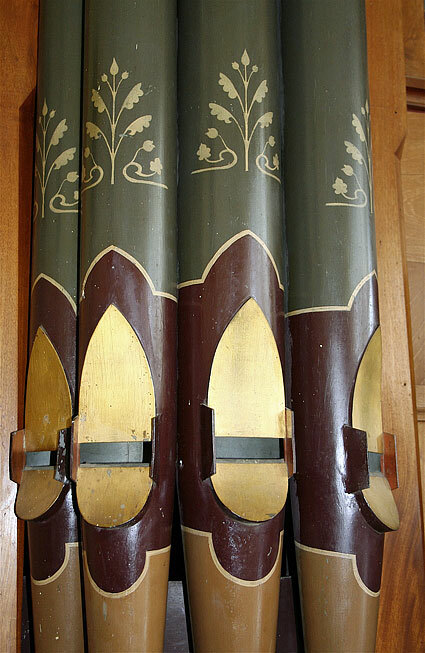 The lateral towers are very much a signature of his work and three other examples may be found in the organs he built for St Mary's Catholic Church, Echuca 1890 (now at St John's Catholic Church, Heidelberg), St John's Anglican Church, Heidelberg 1896 (rebuilt and altered in the 1960s) and Scots Presbyterian Church, Fremantle 1897. 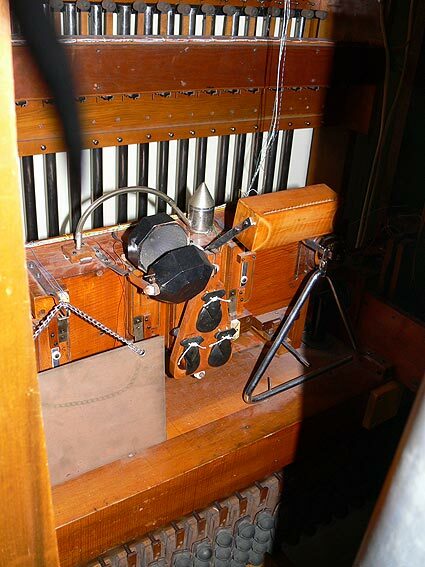 The action, console, wind system and swell box are Fuller's work. 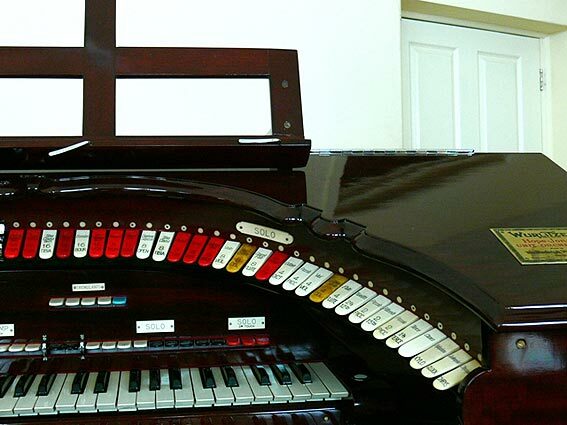 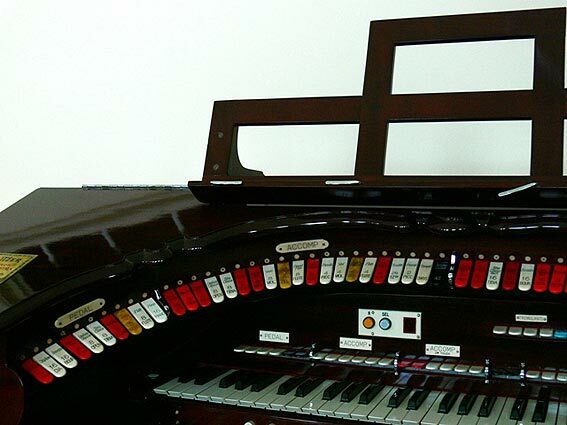 A characteristic feature of his work is the two wind indicators enclosed within glass panels, one at the console and a second at the rear of the organ, for the blower. 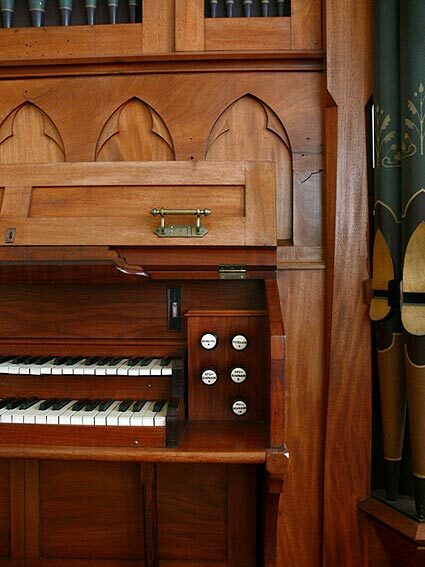 The restoration work by Wakeley Pipe Organs Pty Ltd, of Lilydale, Victoria (in accordance with the OHTA Pipe Organ Conservation & Maintenance Guide) has involved the repairing of the great soundboard and the cabinet work; the pipework has been attended to and regulated where necessary. 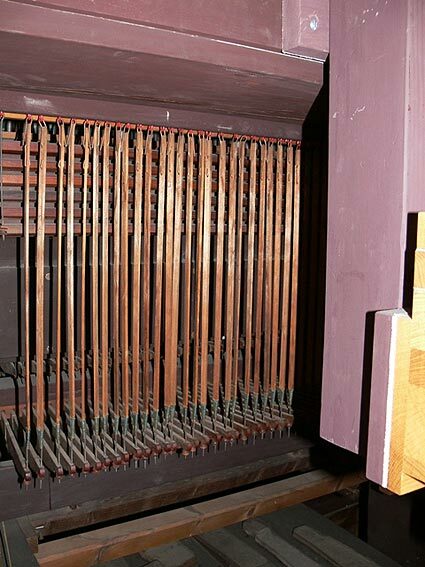 "A two-manual organ of nine speaking stops built by Alfred Fuller, of Kew, believed to date from the end of Fuller's organbuilding career about 1900. 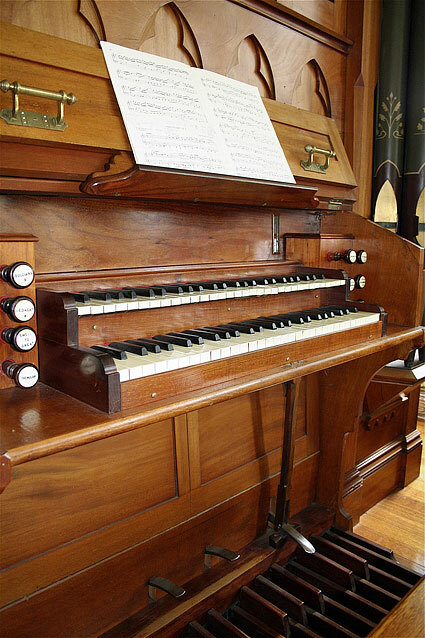 The instrument retains its original action, console and pipework and is a rare intact example of its builder's work and of note for its diminutive size." 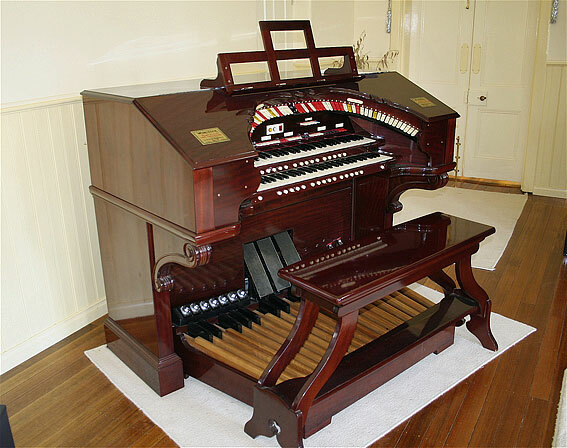 The second organ at "Brightwell" was built in 1928 by The Rudolph Wurlitzer Company, Cincinnati, Chicago and New York (model H) opus 1868 for Kings Cross Theatre, Kings Cross, NSW. 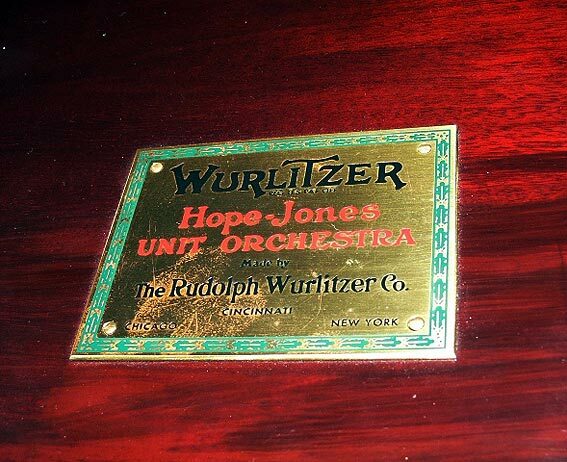 In 1937 it was moved to the Savoy Theatre, Hurstville, NSW reputedly by Hill, Norman & Beard (Australia) although this is not listed in the firm's order books. 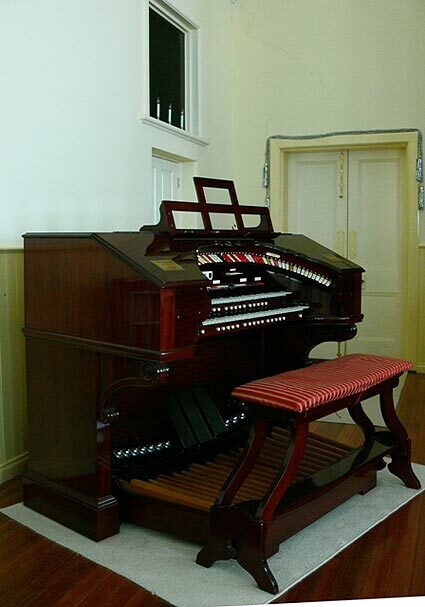 It was moved again in 1958 to the Congregational (later Uniting) Church, Burwood, NSW. 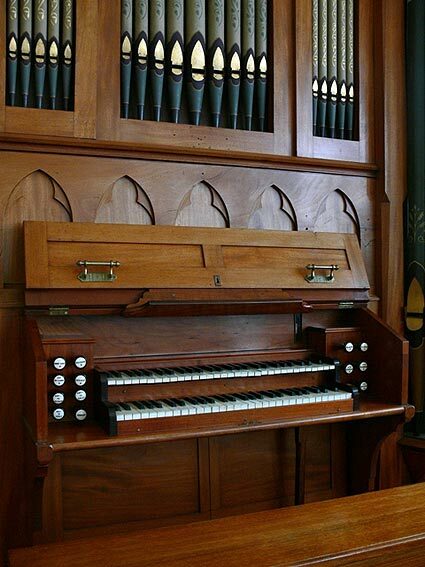 It was replaced there in 1992 by an 1887 Gray & Davison organ installed from a redundant church in Wales. 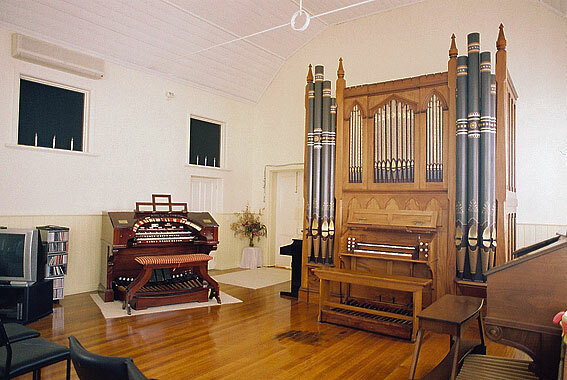 The Wurlitzer instrument was removed, fully renovated and installed at Heathcote in 2002-3 by Wakeley Pipe Organs.